At 76 square metres the Kea is ideal as a holiday home, granny flat or simply as a warm and cosy smaller home. 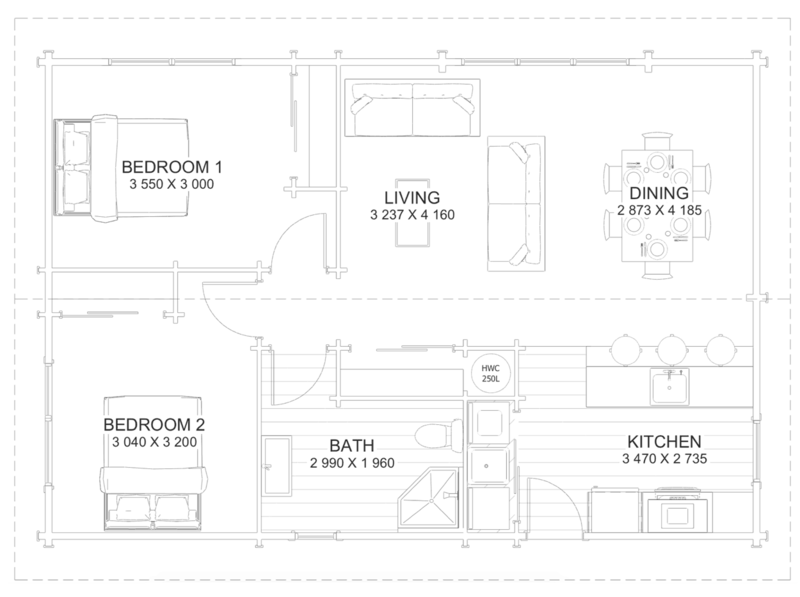 Made from solid New Zealand timber, it has two good sized bedrooms and a spacious open plan kitchen dining living. Raking ceilings between the dining and living rooms provide a feeling of extra space in this efficiently designed small home. For all enquires about Kea 76, speak to our dedicated agent, Carl Watson.